The buzz about Sous Vide cooking is getting louder and louder, so the RainyDayKitchen folks decided to take a closer look. After some research they got a better understanding of the concept of Sous Vide (“under vacuum”) cooking. It appears interesting and really really tasty! The basic idea is: use a significantly lower cooking temperature, but the food must be cooked for a much longer time. Of course, the specifics of doing it well is the tricky part 🙂 High-end restaurants have been employing this technique to create juicier meats and more flavorful vegetables for their dishes for a while now. However, the time and cost of the equipment involved have made it impractical for non-haute cuisine establishments. The origin of the technique dates back a couple of hundred years, but have only recently become practical for inquisitive home cooks. The issue was temperature, specifically how to control it precisely and reliably, without having access to expensive laboratory-grade equipment. The solution? Have a company experienced in building laboratory-grade water bath equipment design a precision water heater specifically for the home cook! 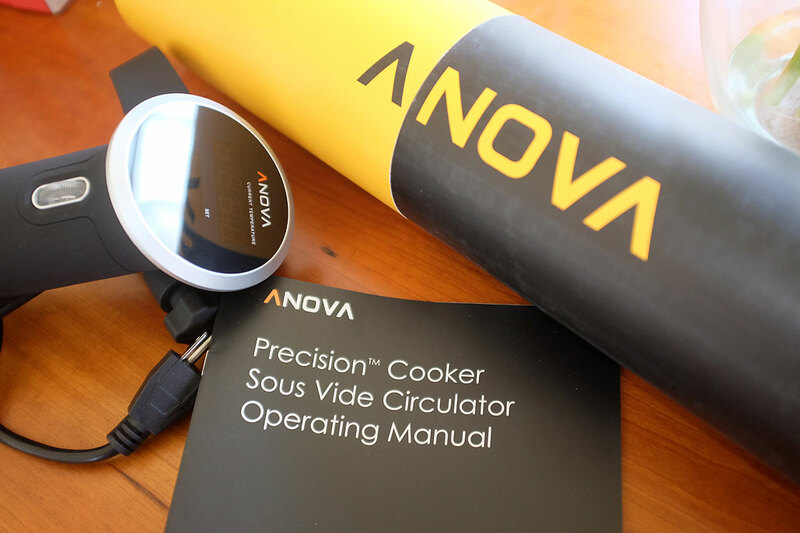 We are going to explore this cooking technique in detail this year, starting with the Anova Precision Cooker. Look for the first of the series in May. If everything works out as scheduled, we’ll be comparing some of the meats cooked Sous Vide style with that cooked the traditional way at FirstGrill. The Year of the Ram/Sheep/Goat is shaping up to be a very “tasty” year!